After decades of using alcohol and drugs and finding myself homeless, jobless and penniless, I finally surrendered and prayed to God for help. I successfully completed a 28 day inpatient treatment program at which time I was accepted into an Oxford House in Beltsville, Md. The women and the traditions of the Emack Oxford House saved my life. It was there that I saw the importance of peer to peer support. After volunteering for Oxford House and serving as House and Chapter officers, I was offered a position with the corporate office of Oxford House Inc. I served as Loan Manager and oversaw the opening of houses in Ghana. During my 12 years with Oxford House, I got involved with the development of Recovery Africa and now serve on the Board of Directors. As a woman in long-term recovery, I’ve been blessed to have relationships with many recovering people and organizations that serve to help folks seeking recovery and supporting those who live life free of alcohol and drugs and feel. 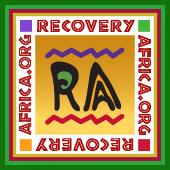 My wish through Recovery Africa is to see women in Ghana have the same opportunity I had to have treatment and an Oxford House available to them.